This dental patient came to us a few months ago and needed to have some teeth removed on her upper arch. We took her through an extensive process. Listen to what she says she experienced through the immediate denture procedure. 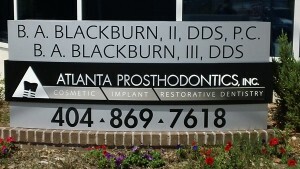 A lot of general dental offices do this procedure, but because we are dental specialists, we do this procedure better.